School may be out for the summer but that doesn't mean that the learning must come to an end. Summer vacation is upon us and that means my children will be spending more time outside. What better outdoor activity than exploring and learning your surroundings? There is an entire world out there just waiting to be discovered. Everything from bugs to rocks to leaves to the unknown. It's my job as a parent to put the tools and desire to learn into the hands of my children. I've always taught my children that learning is important and healthy for your minds but that is should also be fun. 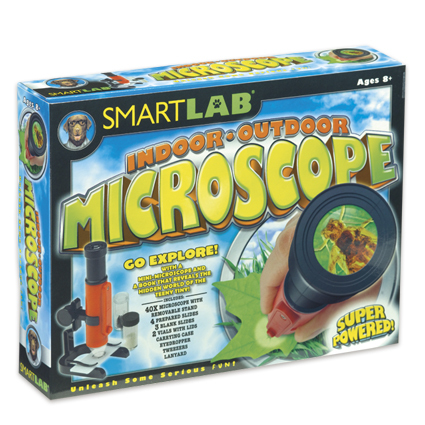 The SmartLab Toys Indoor-Outdoor Microscope is the perfect tool for both fun and learning. It provides hours of enjoyment. I think my children put every item they could possibly find under the microscope for investigation. Toys, coins, clothing, leaves, food, sticks and bugs. Even our four month old puppy was a perfect specimen a couple of times over the past few days. It is the perfect size for little hands. I love that it can be used both indoors and outdoors. It has a cute little stand for indoor use and a bright colored lanyard so you can wear it around your neck for outdoor use! 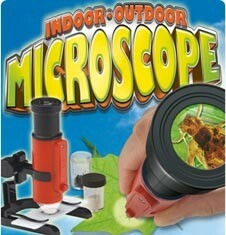 Kids, and adults, alike, will be hooked after peering through this super-powered microscope! Commonly found items, such as newspapers, pencil strokes, flower petals, bugs, and even clothing fibers, look amazingly detailed when magnified 40 times their normal size. There's no limit to what can be explored: Use the stand to view prepared slides, or remove the microscope from the stand and head outdoors! As a mom, the things I love most about SmartLab Toys is that they are fun, educational and spark creativity! Those are among the most important experiences for every child. They are also hands-on and that's how children learn the most valuable lessons in life. SmartLab Toys are for girls and boys of all ages. I'll admit that most of their toys would be fun for adults too, making them the perfect family activity for hours of fun! Everything from a relaxing Spa Day to an adventure inside the Squishy Human Body! 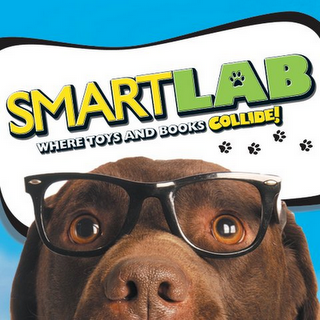 SmartLab Toys also has free download-able activities for kids! Kids can test their trivia skills, share their creativity through art and experiment with all sorts of concoctions! Visit SmartLab Toys and tell me what other item you’d love to have! A special thanks to SmartLab Toys for this great review and giveaway opportunity! Oooo the bug playground looks awesome. Microscope Systems Scotland is an independent microscope sales and servicing company. The Blast Off Rocket Racer looks like fun. my son thinks it COOL!!! My daughter would love the bath fizzy lab! The It's Alive T-Rex looks cool! My grandson would love the You-Track-It Weather Lab. I'd also love to have the bug playground. COOL!